Adidas has had success with the retoring of Dikembe Mutombo's signature shoe in 2013. Most of Dikembe's retro's usually have brighter more flamboyant colors but on this version of the Mutombo's Adidas went with the more traditional black and white color scheme which I like, simplicity is a beautiful thing. 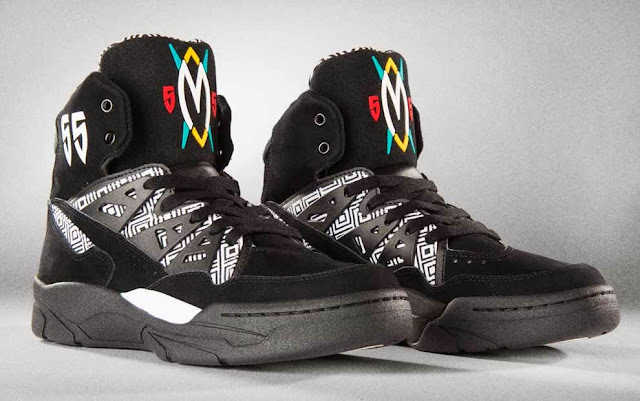 These version of the Mutombo's are scheduled for a December 14th release.